Saturday’s edition details how three different legal teams are scrutinising the Trump Organization’s accounts. Mr Trump’s attacks on Amazon have seen its share price fall in recent days, amid concern that he might push for its power to be curbed by anti-trust laws. The president tweeted that the US Post Office was losing “billions of dollars” in its contract with Amazon. “If the P.O. ‘increased its parcel rates, Amazon’s shipping costs would rise by $2.6 Billion.’ This Post Office scam must stop. Amazon must pay real costs (and taxes) now!” he continued, quoting the New York Times. 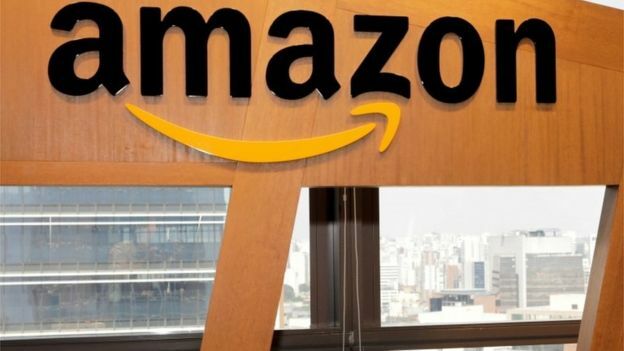 But supporters of Amazon point out that the Postal Regulatory Commission, which oversees the industry, has found that the US Postal Service makes a profit from its contract with the company. This in turn helps subsidise the costs of letter delivery, which avoids the need for price rises. Friends of Mr Trump in the commercial property sector have also been urging him to protect them from digital retail giants as they see shopping malls closing and rents falling, our correspondent adds.